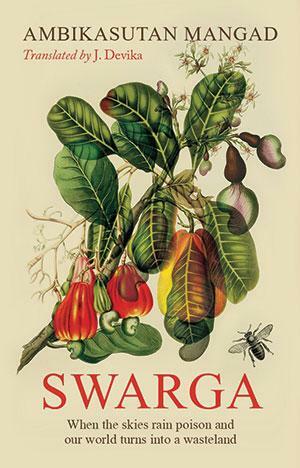 Swarga is a documentation of a human-made tragedy set in Kerala. Ambikasuthan Mangad narrates the destruction of Kerala’s Kasaragod district due to the spraying of an insecticide, endosulfan, in cashew plantations owned by the Plantation Corporation of Kerala (PCK). The story has been told through two fictitious characters—Neelakantan and Devayani. Tired of city life, Neelakantan and Devayani decide to live in a forest. Everything goes well for three years, till Devayani discovers a child whose body is disfigured. He is three-years-old, but looks like a three-month-old. Neelakantan and Devayani bring him home, but he does not live long. His death forces the couple to look around the area and they are shocked to find underdeveloped children in every house. Further scrutiny reveals that the reason is endosulfan, which is sprayed aerially in the fields to ostensibly kill the tea mosquito, but causes genetic mutation to people who have been exposed to the insecticide. The revelation makes Neelakantan and Devayani quit their sagely life and they decide to rid the district of the insecticide. Their decision puts them on a collision course with the government and they face countless threats from the powers that be. The writer says that there is no such insect and the company uses the insecticide only to increases the cashew yield. But the PCK and the government disregard the scientific evidence. Mangad also highlights the fact that paid researchers and scientists often defend companies that manufacture hazardous chemicals. Their network is all-pervasive and politicians, intellectuals, doctors and the bureaucracy get their share from the profits these companies make. Mangad has ably weaved mythological stories from the Mahabharata and the Panchatantra with the tragedy in Kasaragod. For instance, he compares the children born in Kasaragod with the infant Krishna who was breastfed by the evil Puthana with poisonous milk. Mangad says that mother’s milk is believed to be the safest food in the world, but in Kasaragod it has become poisonous. It is a fact that endosulfan has caused heavy damage to the ecology of Kasaragod. The marine life is nearly destroyed; bees have become rare; and, plants have stopped flowering. 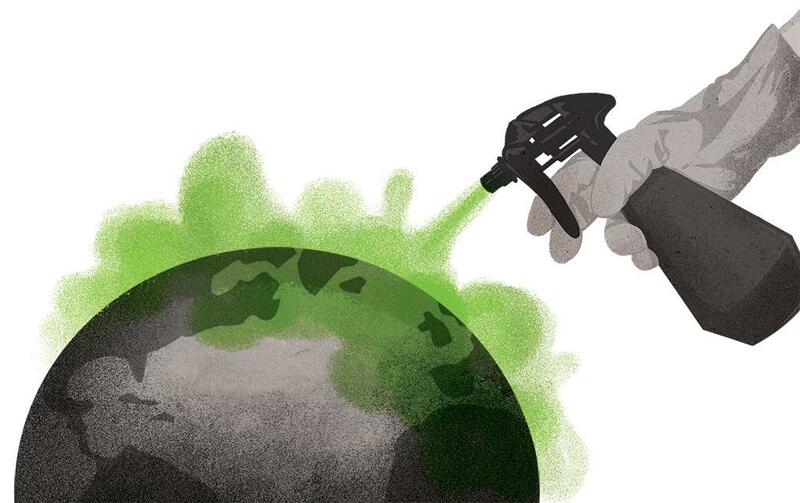 Traces of the insecticide can be found in the air, water and land in the district. Since the author himself was involved in the protests against endosulfan, he has been able to seamlessly integrate the story with the real movement. The novel is not just a narration of the antiendosulfan agitation, but it also questions the indiscriminate use of insecticides to increase agricultural production in the country.